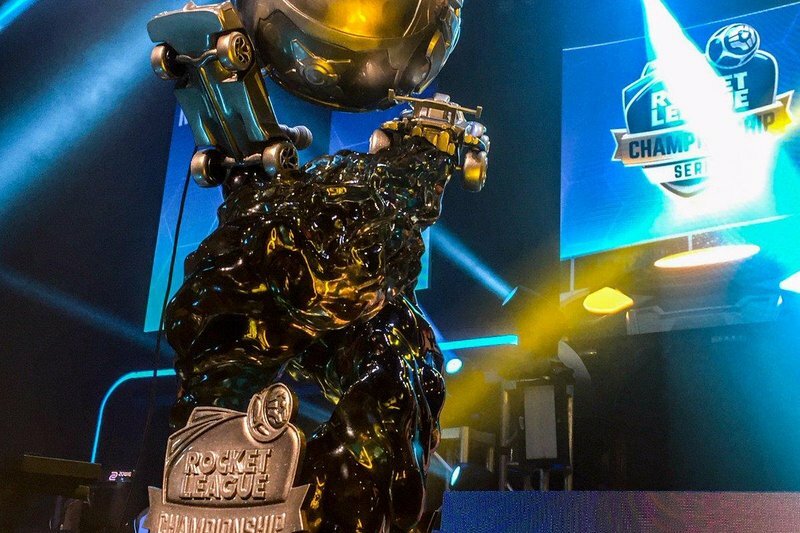 The world of eSports is an interesting one. 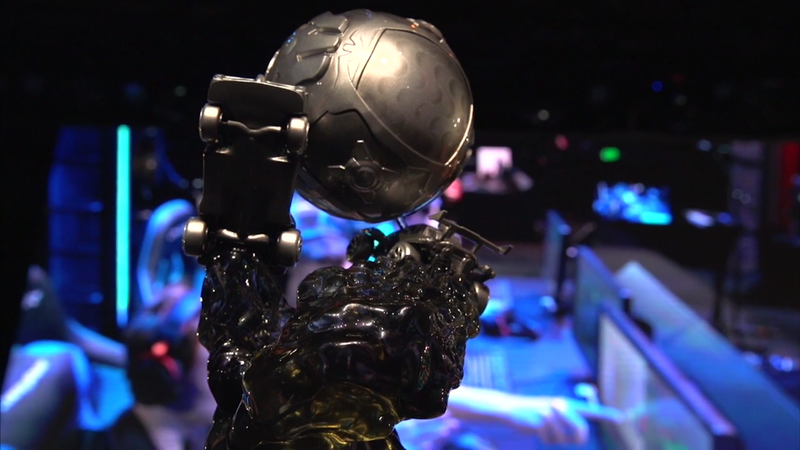 When people ask what I do for a living, I like to reference this trophy. 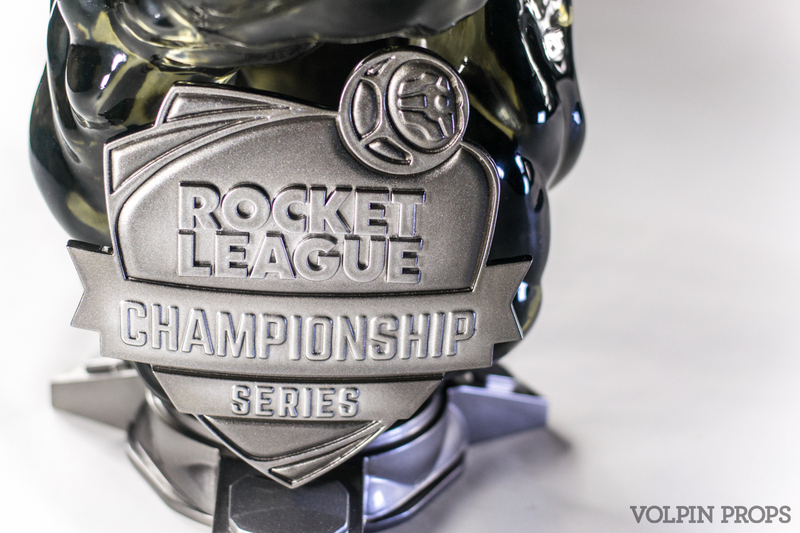 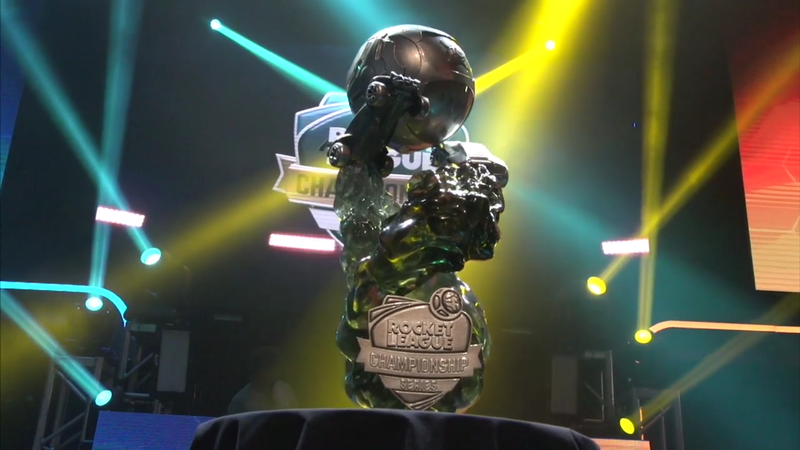 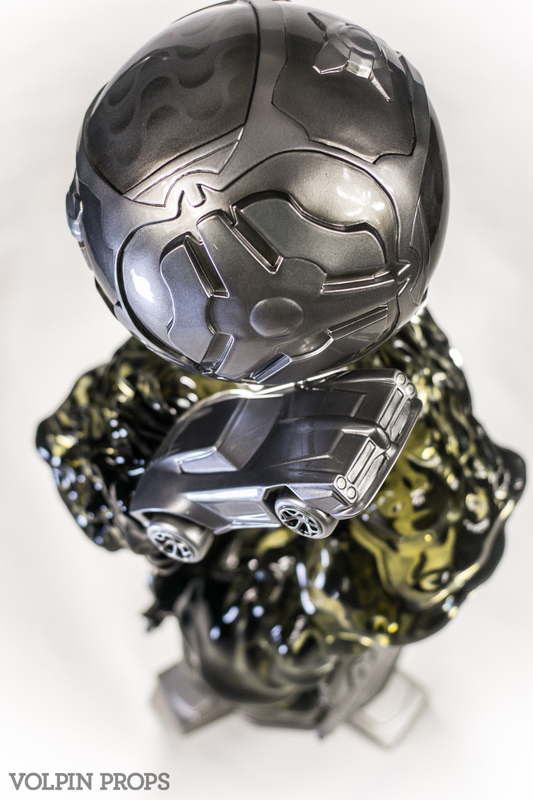 The Rocket League Championship trophy is a massive piece – the individual smoke trails are 1.5 gallons of solid cast urethane resin weighing over 10lbs each. 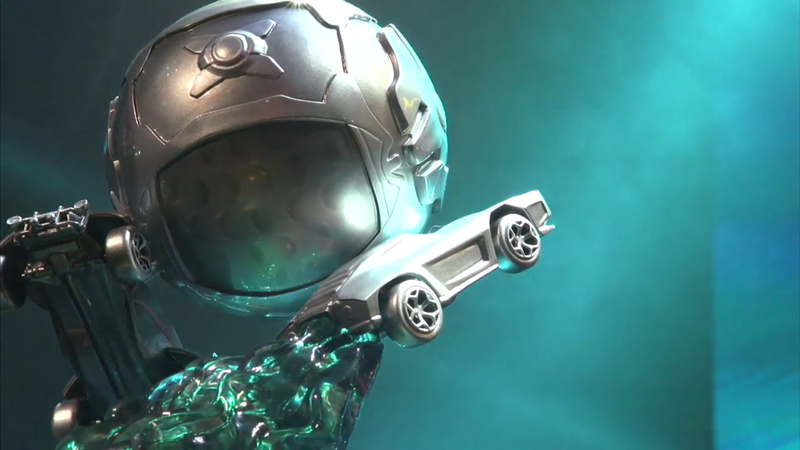 Both cars and the ball are 3D printed ABS based on in-game assets. 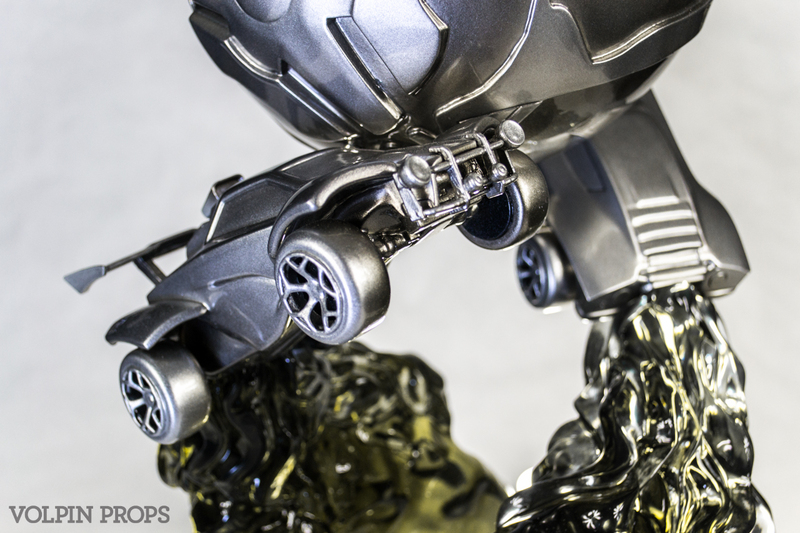 Smaller items like wheels and light bars were SLA printed for increased fidelity. 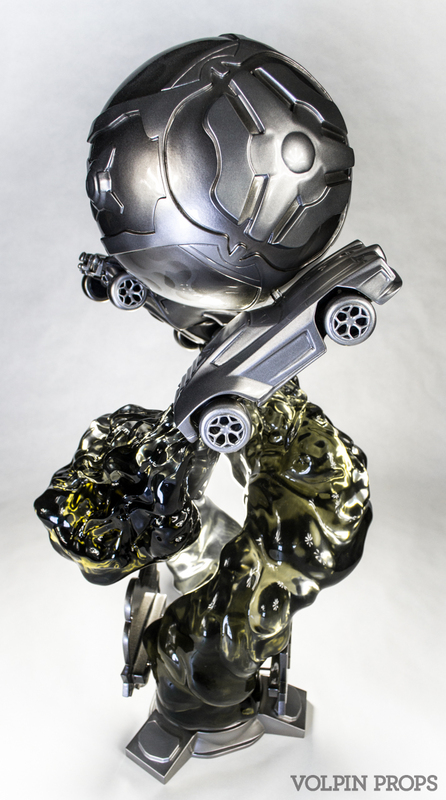 3D assets for this piece were created and printed by Travis Wood. 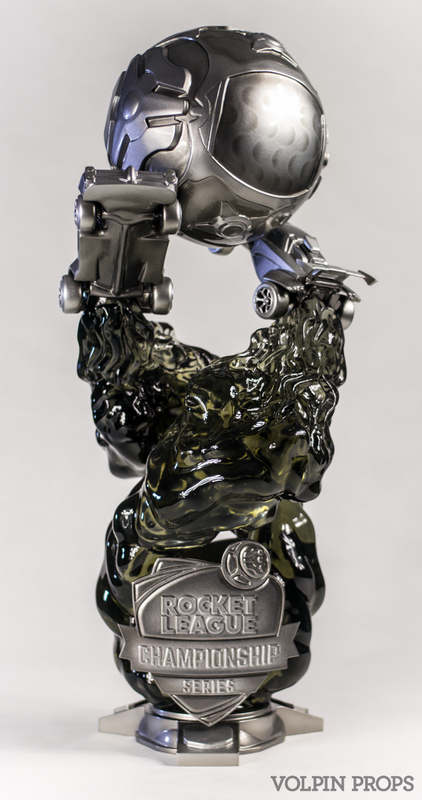 Each smoke trail was designed to be cast from a single master sculpt, wrapping around one another to form a helix shape. 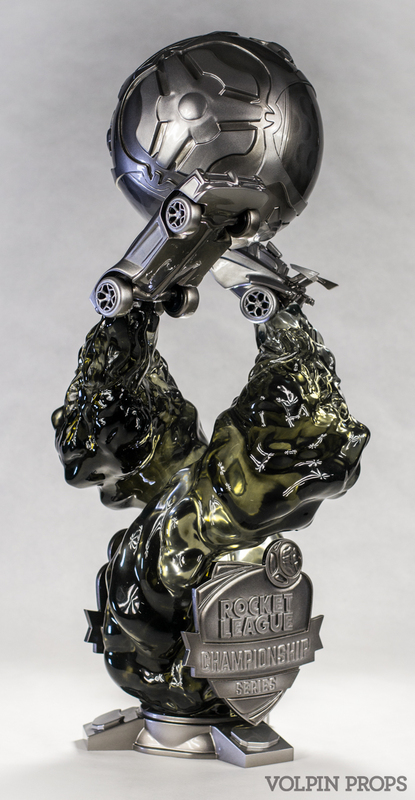 This allowed us to expedite production on the final cast elements. 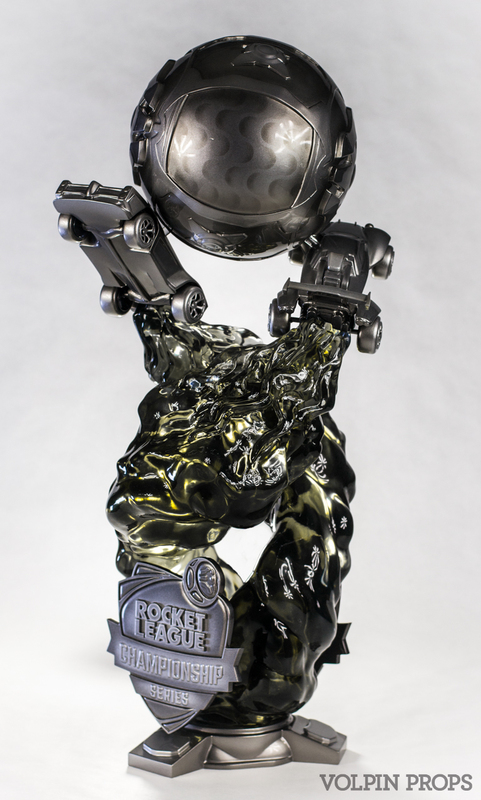 The finished trophy is just under 32″ tall and weighs 25lbs. 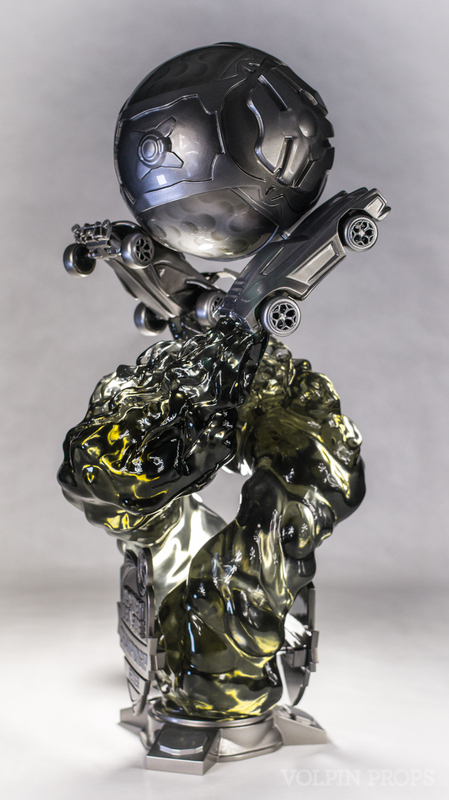 Both cars and the smoke trails are held in place with heavy steel pins to ensure the trophy will survive even the most robust of victory celebrations.